An Ottawa family who fought to have defibrillators placed in schools after their son died during recess say they had mixed emotions when they learned one of the machines helped save the life of another child. Griffin Martin was eight years old when he collapsed and died outside Orleans Wood Elementary School in 2017. His heart had stopped beating. 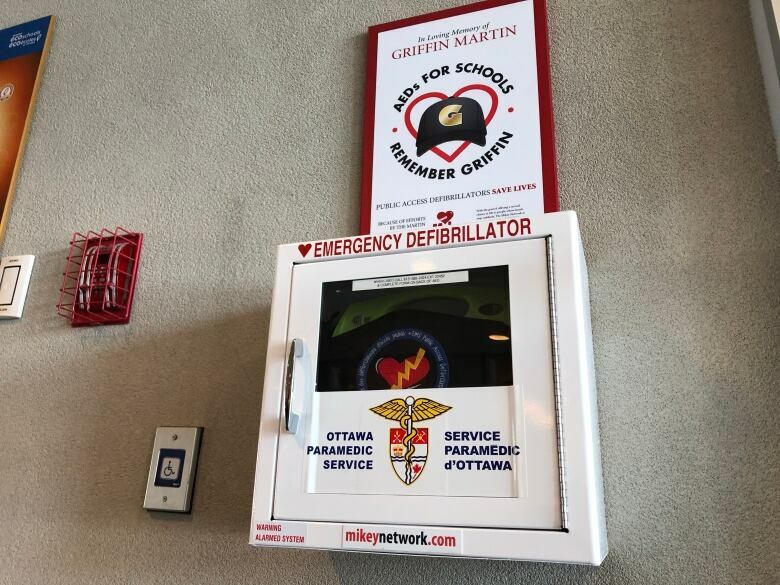 The school didn't have a defibrillator, and while it's not known for certain whether one would have saved Griffin's life, his family has made it their mission to ensure other families never have to wonder. After their son's death, the Martins launched a fundraising campaign to purchase automated external defibrillators, or AEDs, for schools across the city, including Avalon Public School in Orléans. On Feb. 22, that device helped save the life of a 16-year-old boy who went into cardiac arrest during a basketball game. Someone called 911 while the boy's coach, Chris Waycott, began CPR. Another parent ran to grab the school's AED. "I hate to think of what could have happened if he wasn't in that school that evening, or if that event didn't take place where it did, when it did," Waycott said. The teen, who had no known pre-existing heart condition, is recovering at CHEO, where he is in stable condition. Griffin's father, Damien Martin, said he wanted to feel proud that their work helped save the teen, but admits he had mixed emotions. "I couldn't help thinking, this person is alive because our son has died," he said. "I couldn't help asking myself, 'Where was Griffin's second chance? Why weren't we able to just get a terrible scare, rather than having to plan a funeral?'" Andrea Martin said the timing of the incident was uncanny because it happened almost two years to the day after her son died. "It was like Griffin was watching out for other children," she said. She said one of the most difficult things she's ever done was share her son's story publicly. "I can't underscore how difficult that was, and we know that we did it for the right reason now. I do feel a bit vindicated." In a statement released through CHEO, the mother of the teen who collapsed last month extended her thanks. "I'm extremely grateful to the school boards for equipping their gyms with defibrillators. I believe it made a difference for my son," she wrote. "I'm encouraging more public institutions to get defibrillators." The Ottawa-Carleton District School Board decided to put AEDs in all of its schools a week after the Martin family shared their story with CBC. 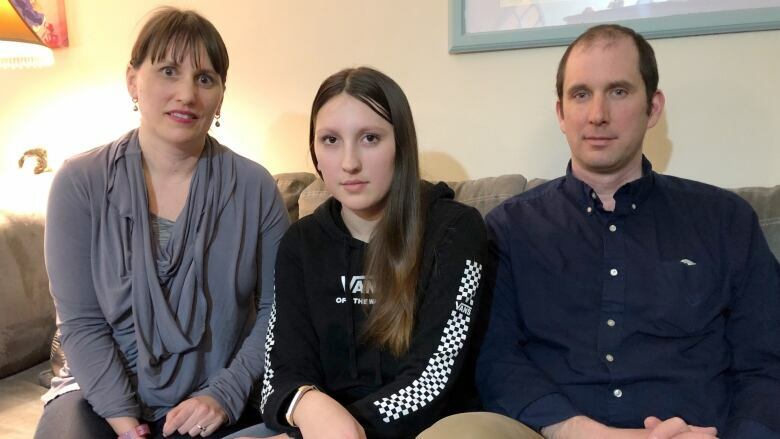 Andrea and Damien Martin say their mission is complete in Ottawa, but more work needs to be done to get the potentially life-saving devices in schools across Ontario and the country.